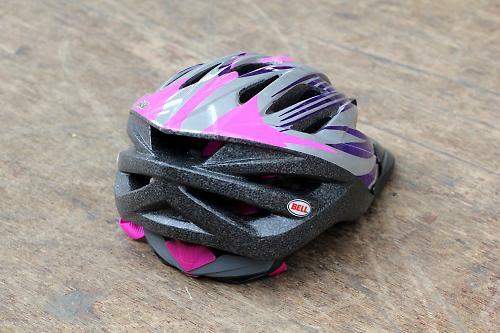 Bell's Shasta helmet is aimed at tweenagers and teenagers with its speedy look and seven colour schemes to choose from. If you or your child's school insist on helmet use, then you'll know that the older they get the more difficult it is to achieve compliance. The Shasta leaves behind the rounded shape of most children's helmets and takes on a more aero look broadly similar to the majority of adult lids. The seven colour choices aren't in your face or childish but variations on a paint splatter effect with a couple of floral choices in case your child is keen to point out their love of nature. A good fit is easy to achieve through the Ergo dial at the back of the helmet, though this isn't the smoothest dial available, especially when working in reverse. The Cam Lock strap adjustment buckles, on the other hand, are some of the easiest clips to use. Below the chin is a basic buckle without additional padding. It is advertised as being a Pinchguard buckle but I was easily able to trap my own skin in it, so I don't think much of that claim. Either a ratchet lock system or a pad between the buckle and skin would be preferable. There are 17 vents which give a reasonable degree of ventilation, but no insect net which has become a standard feature on all but the most basic kids' lids. There is a detachable visor which leaves small but noticeable holes when removed. The outer shell covers the front of the helmet, but not the back fins, which means that after moderate use the foam has started to pick up some dents and scratches. Padding is extremely minimal and threads through plastic around the front of the helmet. Our 12 year old tester has been wearing this lid to and from school for a while and reports it to be comfortable, but I am not sure this will continue into the summer months or on longer rides. 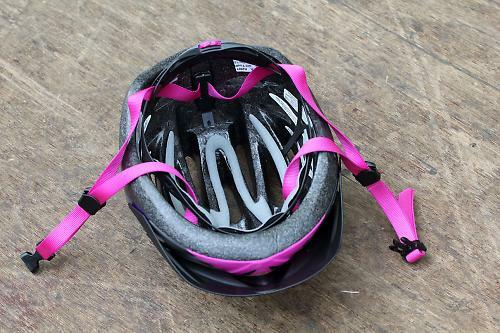 Meeting all the appropriate safety standards, this is a perfectly acceptable helmet for commuting and leisure rides, but I wouldn't recommend it for a more dedicated young cyclist. The Shasta fits heads from 50-57cm which takes it from around 8 years through to an adult small/medium head. 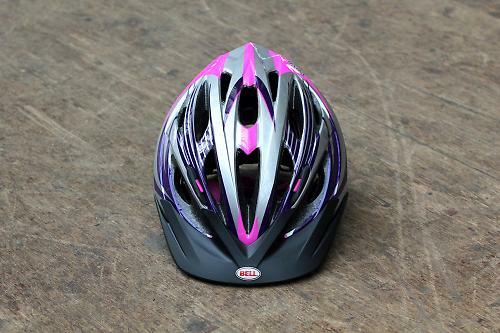 Entry level youth helmet with styling that teens won't grumble about (too much). The Shasta combines in-mold construction, 17 breezy vents, an ErgoDial fit system and a Snap-In visor with Bell's PinchGuard buckle to deliver exceptionally high performance at an entry level. Hard Charging, Free Wheelin'. Pretty average, suitable for general short journeys. Minimal padding and a weight of 282 grams but no complaints from our pre-teen tester. Available at a few pounds less if you shop around. The variety of colour schemes. The adjustment dial could be easier to use, and the Pinchguard buckle wasn't failsafe. Did you enjoy using the product? The tester had no complaints. Would you consider buying the product? Yes, for the school run.